Mrs. Eastwood and Company aired last night and kept everyone entertained. The show, which airs on E! 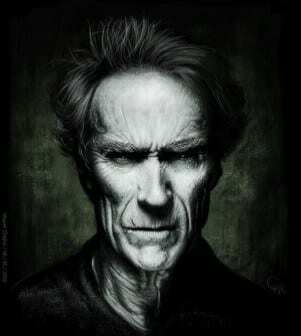 features Clint Eastwood’s wife Dina, her two daughter’s Francesca and Morgan and their housekeeper Lisa. Mrs. Eastwood however showed the world Sunday night that her husband isn’t the only one with talent and timing in the family. Last night’s episode of Mrs. Eastwood and Company was all about being uncool. While Mrs. Eastwood and Company follows Keeping up with the Kardashians, the women are not cut from the same cloth. Instead of opting for the drama of the glitz and glam of the Kardashians, Mrs. Eastwood’s show opts for a more casual motherly tone. While the family has been made famous thanks to Clint, the Duke is rarely seen. In the first episode, Mr. Eastwood is seen for barely 70 seconds, and he is mostly silent. It’s obvious that the world doesn’t need another reality TV show, but Mrs. Eastwood and Company doesn’t try and impress with their wealth. They know they are there to just entertain. And, that’s okay with us. Mrs. Eastwood and Company airs Sundays at 9 p.m.